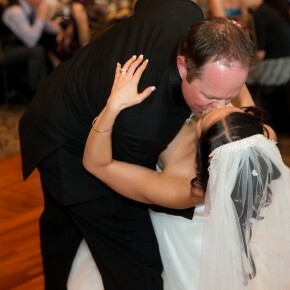 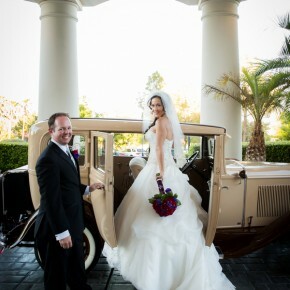 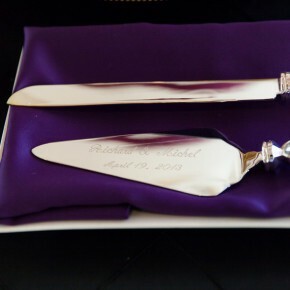 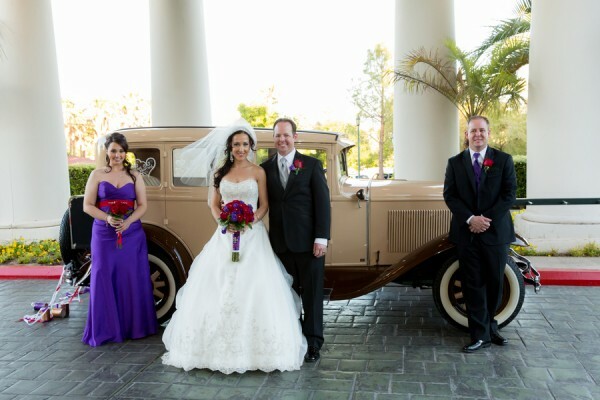 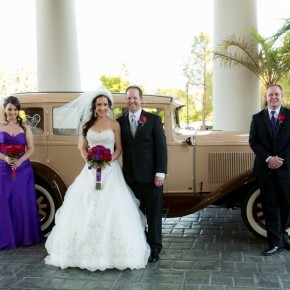 Richard and Michel were wed at an evening wedding ceremony at the vibrant Canyon Gate Country Club, photographed by Nancy Easton at Easton Studios. 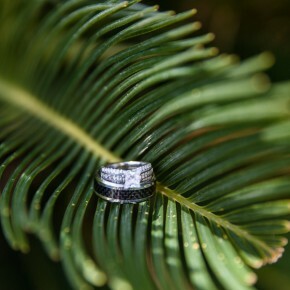 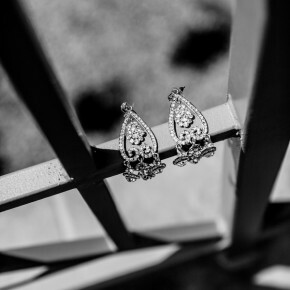 (Love her ring shots!) 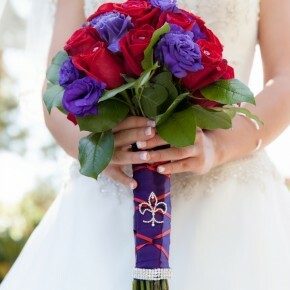 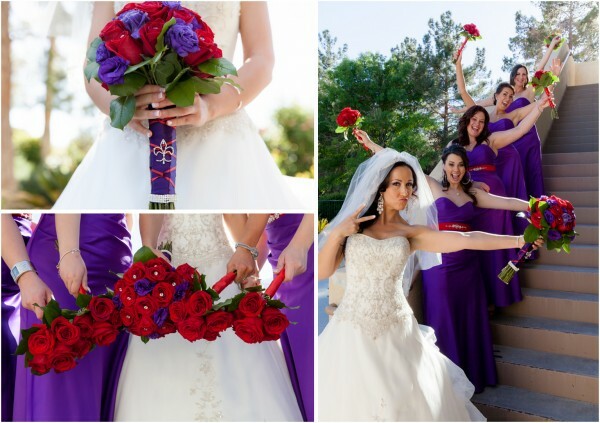 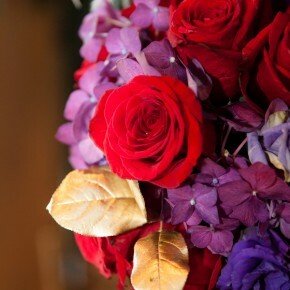 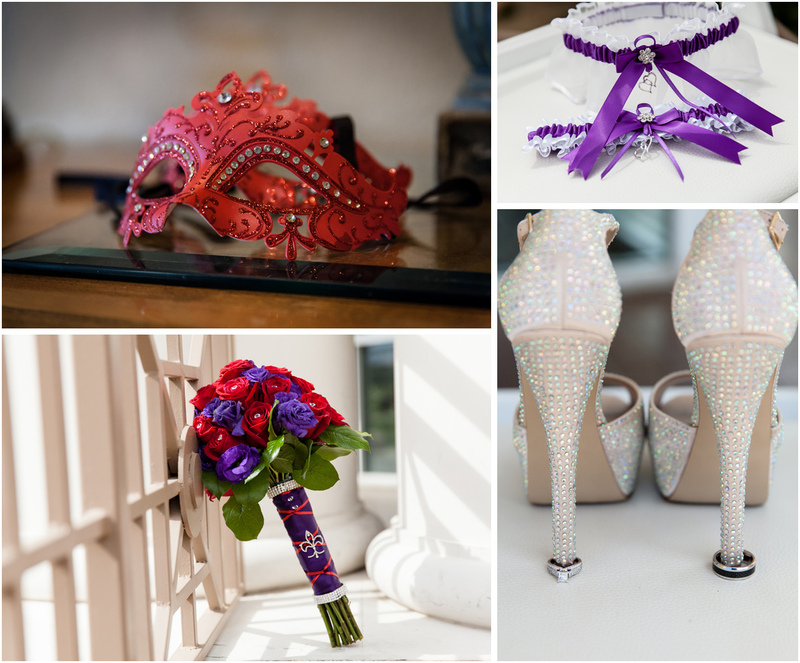 Using deep red and purple colors, the wedding featured a romantic French masquerade theme with masks and fleur de lis details all coordinated by Distinctive Celebrations. 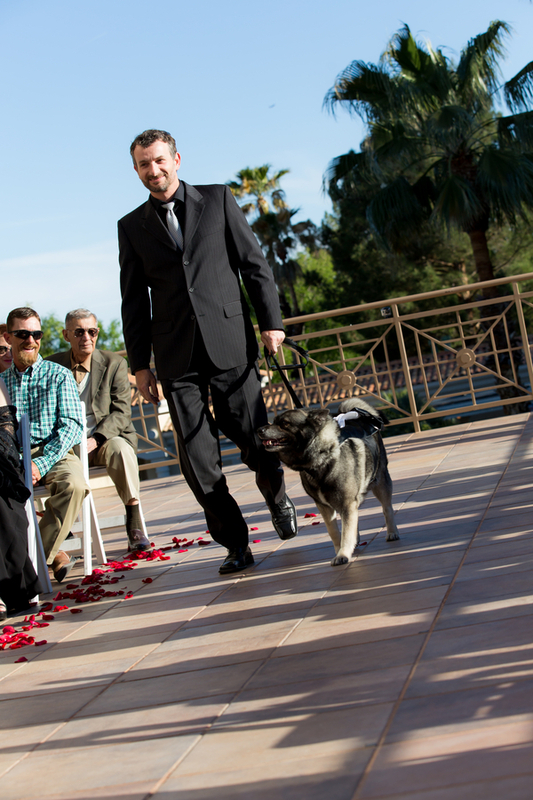 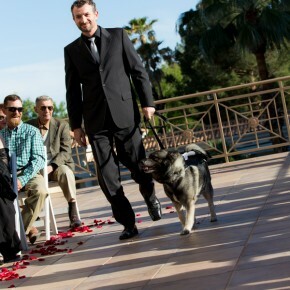 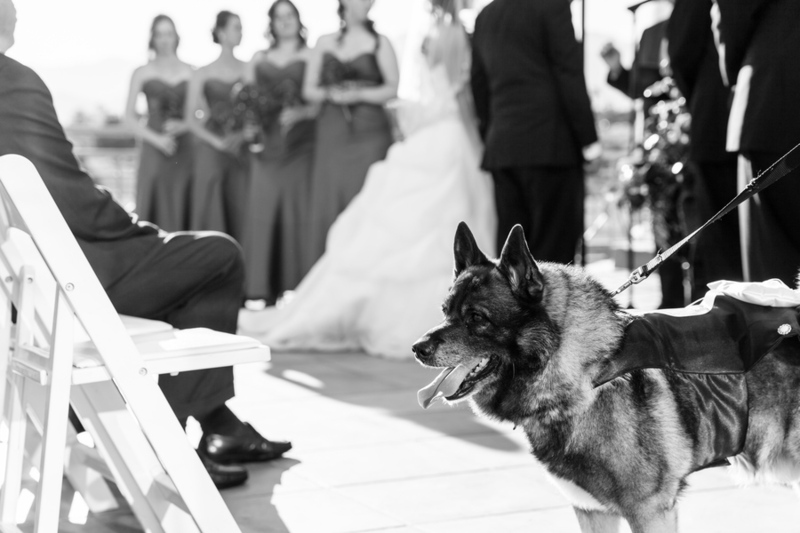 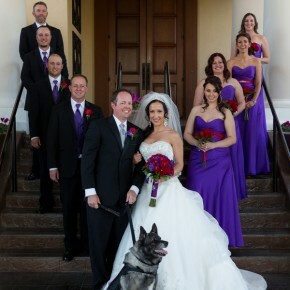 A special wedding guest led the bride and groom down the aisle – and what a beautiful canine guest he was! 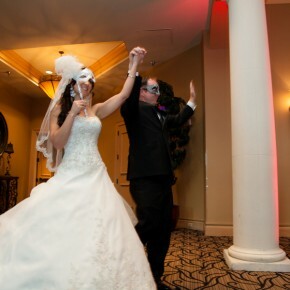 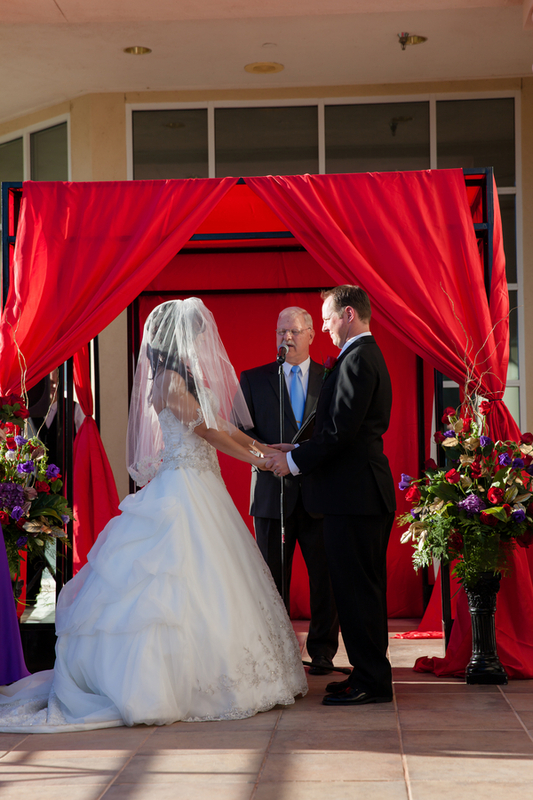 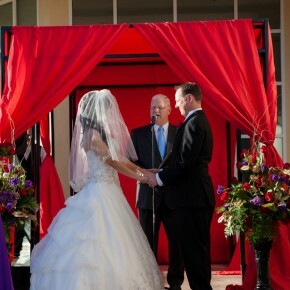 Michel and Richard were then wed under a red canopy on the balcony alongside the lake at Canyon Gate, and then the party got started as the new husband and wife made their entrance into the ballroom wearing their masks. 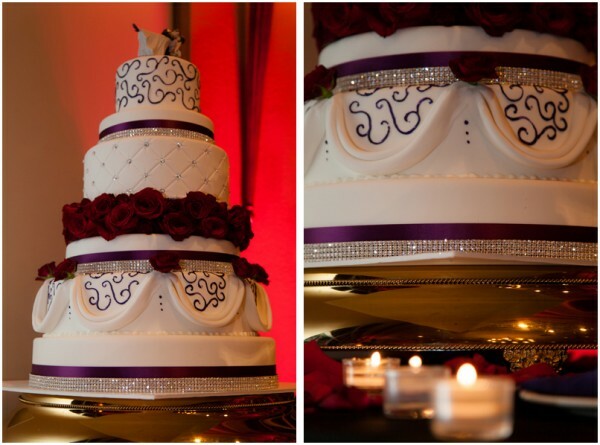 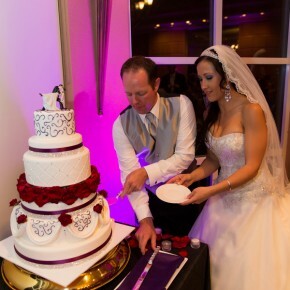 Guests enjoyed a rose and rhinestone decorated cake from Cravin’ Cakes Bakery and music from a DJ from Knight Sounds. 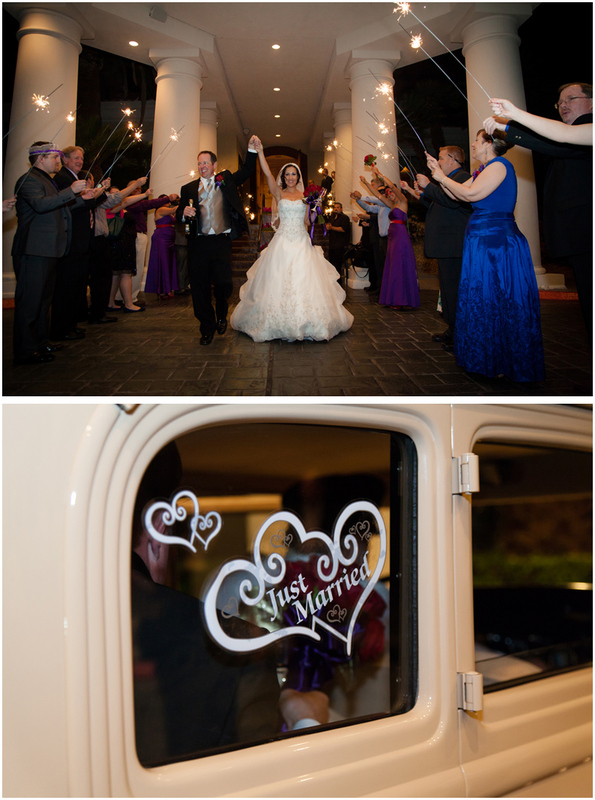 Later in the evening, the couple then made their romantic getaway through a tunnel of handheld sparklers and into an incredible classic car. 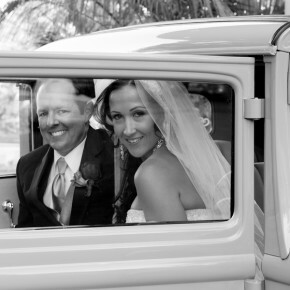 Is it a Ford? 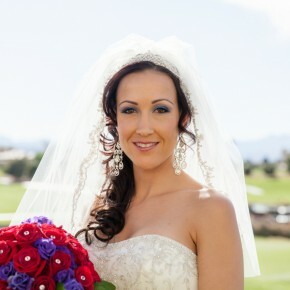 I kind of looks like it might be! 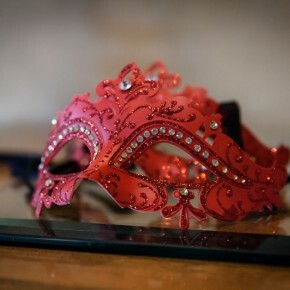 Don’t Hide Behind Your Mask! Get Daily Updates & More by Liking Us on Facebook! 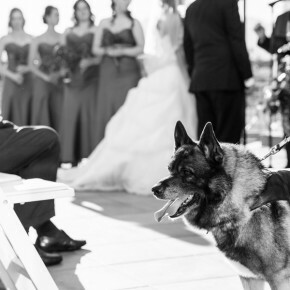 What a beautiful dog, and what a beautiful tuxedo for him!